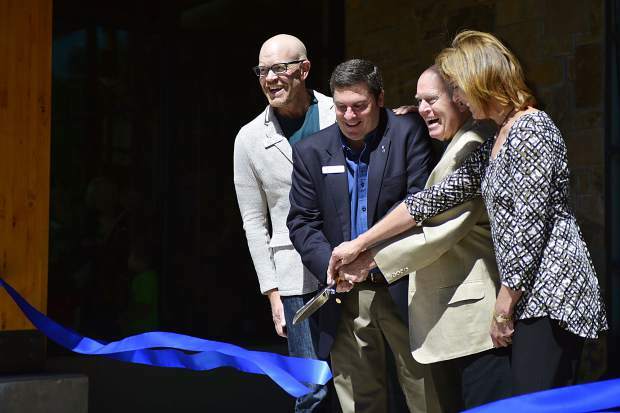 From left, Summit County Commissioner Thomas Davidson, Silverthorne Mayor Bruce Butler, president of the Lake Dillon Theatre Company board of directors Larry Kelly and state Rep. Mille Hamner cut a ribbon during Saturdayâs grand-opening ceremonies for the new $9 million Silverthorne Performing Arts Center. Together they served as the keynote speakers. 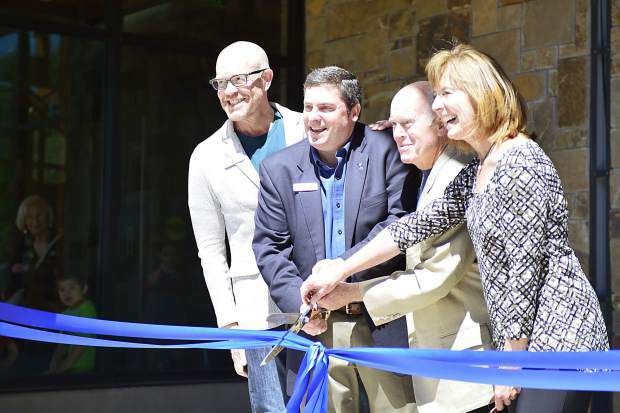 Silverthorne town officials cut a ribbon during Saturdayâs grand-opening ceremonies for the new $9 million Silverthorne Performing Arts Center. 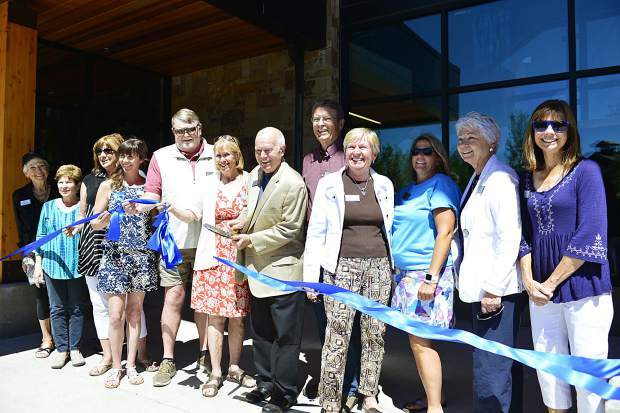 Members of the Silverthorne Town Council cut a ribbon during Saturdayâs grand-opening ceremonies for the new $9 million Silverthorne Performing Arts Center. 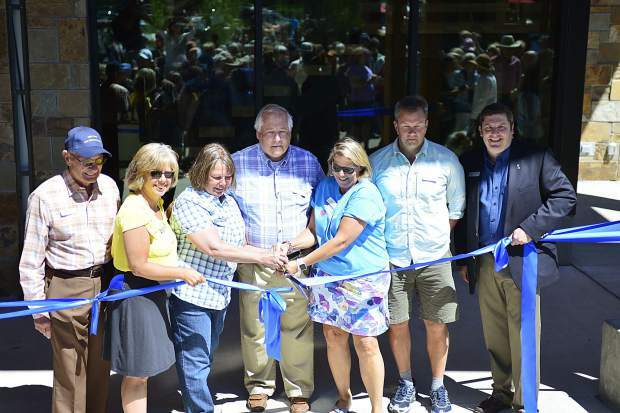 Representatives of the Lake Dillon Theatre Company, including the president and members of its board of directors, cut a ribbon during Saturdayâs grand-opening ceremonies for the new $9 million Silverthorne Performing Arts Center. 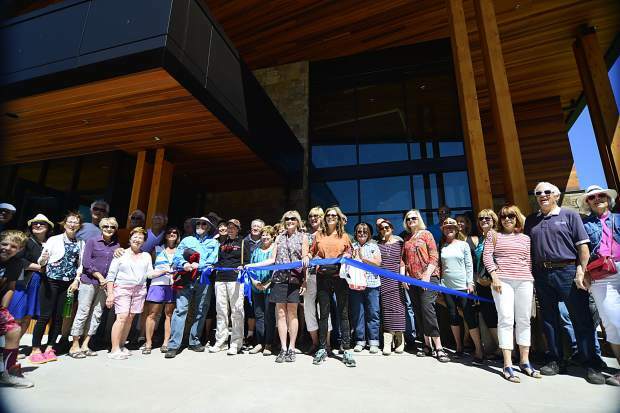 A large group of people who attended Saturdayâs ribbon-cutting ceremony for the new $9 million Silverthorne Performing Arts Center come together for one last chop at the ribbon. Before the ribbon-cutting, Silverthorne Mayor Bruce Butler applauded the âcommunity spiritâ and many partnerships that helped the new facility come to fruition. 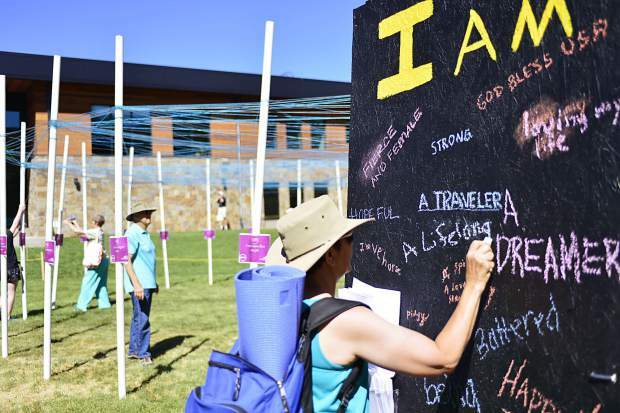 Jennifer Pedersen writes "Lifelong Learner" on a public art instillation as it takes shape Saturday out front of the new Silverthorne Performing Arts Center. 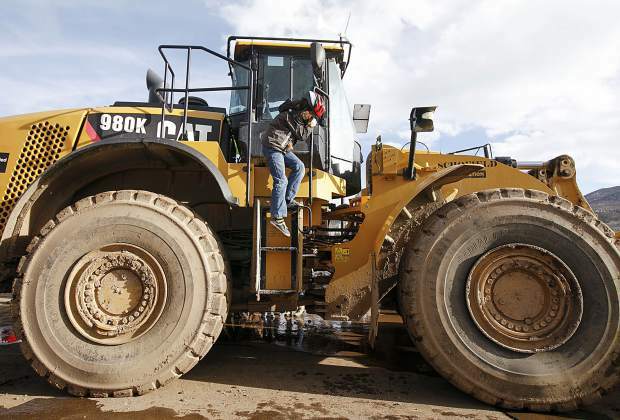 Pedersen is excited to see what the new $9 million facility will mean for the townâs growth, but is worried about added foot traffic along the heavily traveled Blue River Parkway/Colorado 9 thoroughfare. 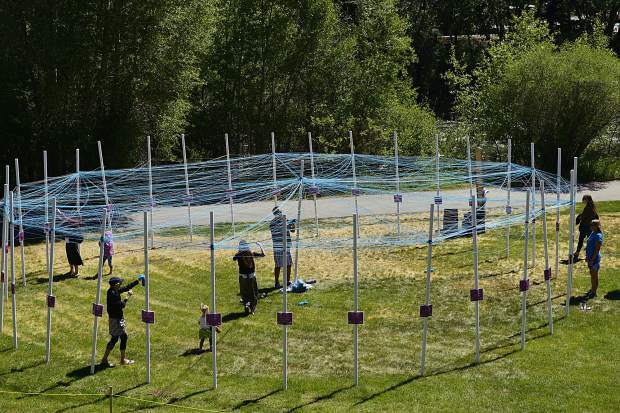 A public art instillation takes shape with help from passers-by Saturday out front of the new Silverthorne Performing Arts Center. 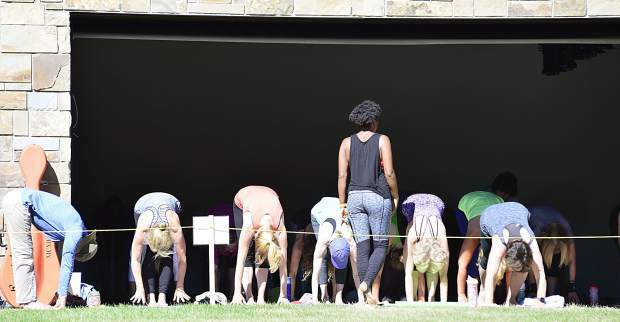 People take their first steps inside the new Silverthorne Performing Arts Center on Blue River Parkway during a Saturday grand-opening and ribbon-cutting ceremony. 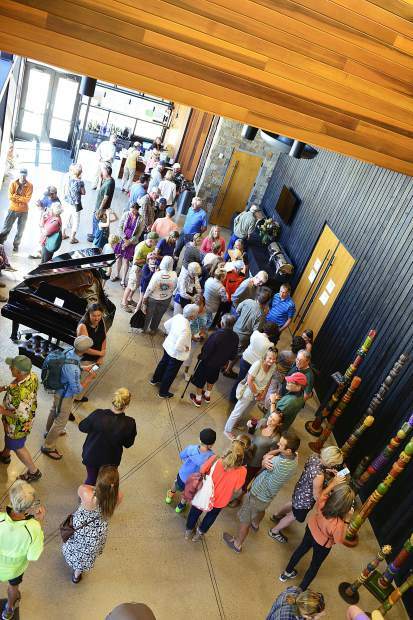 People mingle in the lobby inside the new Silverthorne Performing Arts Center at a Saturday grand-opening and ribbon-cutting ceremony. 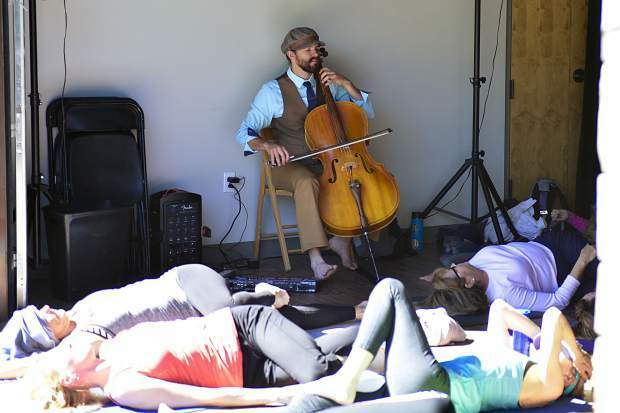 An 8:30 a.m. yoga session, complete with a live cellist, ensues in the smallest of three indoor performance spaces at the new Silverthorne Performing Arts Center called âThe Labâ to kick off a daylong schedule of events to celebrate the grand-opening of the new $9 million facility. 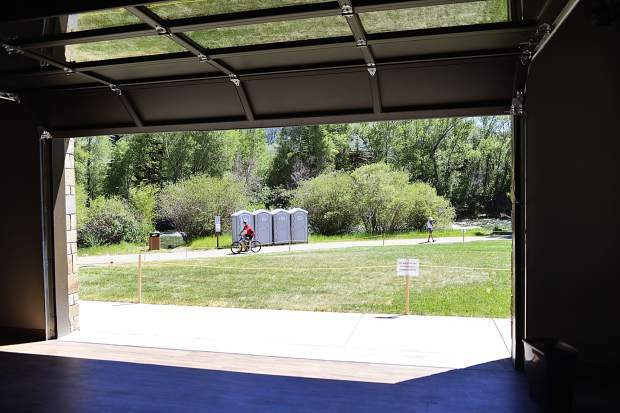 The smallest of three indoor performance spaces at the new Silverthorne Performing Arts Center, âThe Labâ features a large garage-style door that opens to reveal a view of the Blue River. 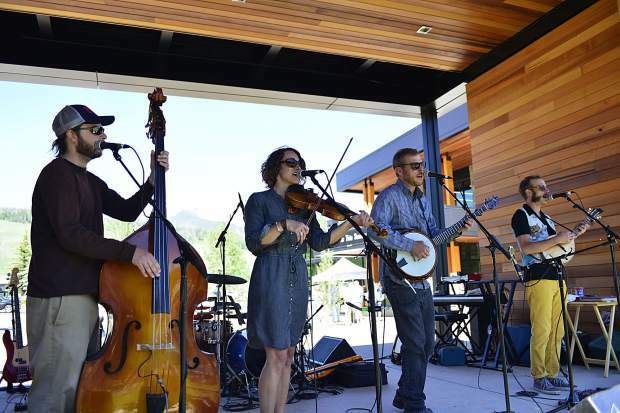 The Shaky Hand String Band performs Saturday on the stage outside the Silverthorne Performing Arts Center during a grand-opening celebration for the new $9 million facility. 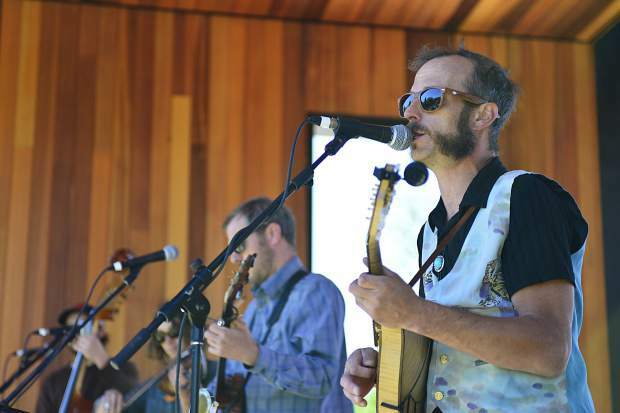 The Chimney Choir band performs Saturday on the stage outside the Silverthorne Performing Arts Center during a grand-opening celebration for the new $9 million facility. 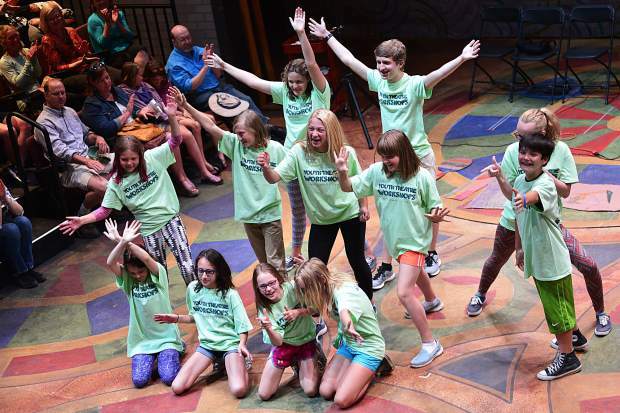 Children perform Saturday before a packed crowd inside âThe Flex,â the largest of three indoor performance spaces at the Silverthorne Performing Arts Center, during a grand-opening celebration for the new $9 million facility. 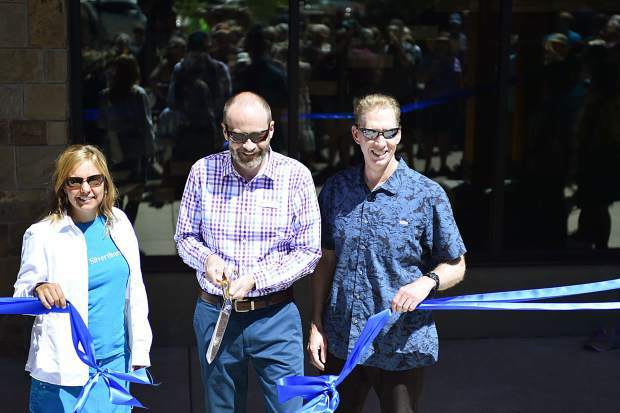 By the time Saturday’s ribbon-cutting ceremony for the Silverthorne Performing Arts Center was over, the blue, shiny ribbon had taken about all the chops it could handle. First up with the oversized pair of scissors were the day’s keynote speakers, Silverthorne Mayor Bruce Butler, state Rep. Mille Hamner, Summit County Commissioner Thomas Davidson and Larry Kelly, president of the Lake Dillon Theatre Company’s board of directors. A few snapshots and a quick snip later, the ribbon was retied, and town officials took a turn. 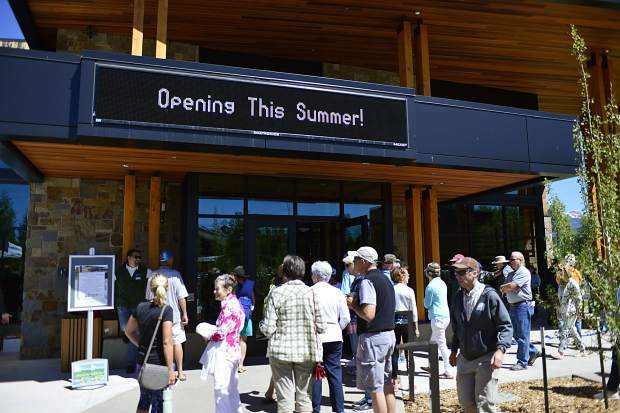 This process repeated itself a handful of times, as Silverthorne Town Council and representatives of the Lake Dillon Theatre Company each got an opportunity, before finally everyone who attended the ceremony was invited up front for one last group cut. The recurring photo op underscored the great hype surrounding the new $9 million facility, which had reached boiling point at Saturday’s daylong schedule of events to celebrate the center’s grand opening. 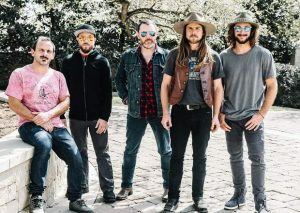 A new $9 million facility built in a public-private partnership between the town and the Lake Dillon Theatre Company, it represents more than a new fully functional performing arts center, with offices, an outdoor stage and indoor and outdoor art installations. Rather, it’s widely seen as a new community-gathering place and a catalyst for downtown development as Silverthorne looks to claim more of an identity. About the size of a dance studio with mirrors on the north wall, the small space stands as many people’s favorite nuance of the new theater. That’s because, in addition to a row of mirrors on the north wall, it also features a large, garage-style door on the east wall, which slides up to reveal a scenic view of the rustling Blue River. 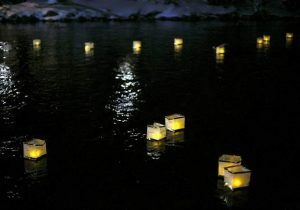 Ottis said he read town officials’ comments in the newspaper recently, where they said they wanted Saturday’s ceremonies to be a community event for a community-gathering place, and he was not disappointed. During his remarks, Mayor Butler lauded the new building, along with the “community spirit” and the partnerships that made it possible, adding that the center was finished on time and within its budget. In turn, Rep. Hamner praised the arts and local communities, while commending the town for investing in both. Meanwhile, the county commissioners and president of the theater company board beamed with excitement. Like almost everyone else at the grand opening, Jennifer Pedersen shared in the enthusiasm, and she said she’s eager to see what the new center can do for the town. However, like at least a couple other people at Saturday’s grand opening, she remains cautious about what the downtown developments could mean for one of Silverthorne’s most traveled thoroughfares, the Blue River Parkway/Colorado 9, especially in terms of traffic congestion and pedestrians’ safety. Developing more pedestrian traffic on one side might be OK, she said, but just across the street from the new performing arts center, a $68 million mixed-use development is in the planning stages. 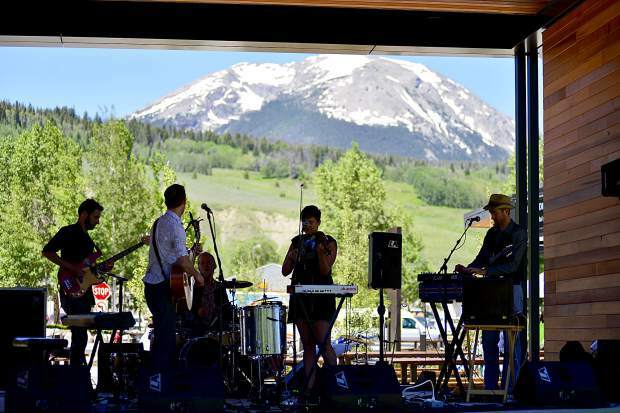 With it and the new performing arts center each playing a role, town leaders have described it as a “transformation” and expressed a desire to create a “main street” experience along the highway through Silverthorne. 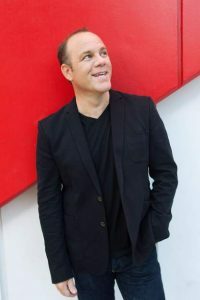 But Pedersen remains apprehensive, as it would also likely mean reduced speed limits and more pedestrians crossing the four-lane highway.